In 1785 John Walter's career as a Lloyd's underwriter in London was at an end. An increase in insurance claims arising from a hurricane in Jamaica had ruined his business. Close to bankruptcy, John Walter decided to look for a new form of business. While an underwriter at Lloyds he became aware of a new method of typesetting called logography. The inventor, Henry Johnson, claimed that this new method of typesetting was faster and more accurate because it allowed more than one letter to be set at a time. John Walter purchased Johnson's patent and decided to start a printing company. John Walter came to the conclusion that he had to find a good way of publicizing his logography system. Eventually he came up with the idea of producing a daily advertising sheet. The first edition of the Daily Universal Register was published on 1st January, 1785. The newspaper was in competition with eight other daily newspapers in London. Like the other newspapers,it included parliamentary reports, foreign news and advertisements. John Walter made it clear in the first edition of the newspaper that he was primarily concerned with advertising revenue: "The Register, in its politics, will be of no party. Due attention should be paid to the interests of trade, which are so greatly promoted by advertisements." After a couple of years John Walter had discovered that logography was not going to have the impact on the printing industry that he had initially thought when he started the Daily Universal Register . However, he was now convinced he could make a profit from newspapers. Especially when he was able to negotiate a secret deal where he was paid £300 a year to publish stories favourable to the government. In 1788 John Walter decided to change the name and the style of his newspaper. Walter now started to produce a newspaper that appealed to a larger audience. This included stories of the latest scandals and gossip about famous people in London. Walter called his new paper The Times . One of these stories about the Prince of Wales resulted in Walter being fined £50 and sentenced to two years in Newgate Prison. In January, 1803 John Walter's son, John Walter II, became the new proprietor of The Times . John Walter II decided he wanted to run a newspaper that was independent of government control. 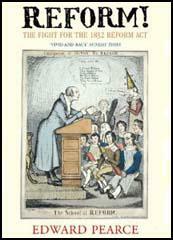 He began employing young journalist who supported political reform including Henry Crabbe Robinson, Charles Lamb, William Hazlitt and Thomas Barnes. The newspaper turned away from government minister's handouts and instead developed its own news-getting organisation. John Walter II also introduced new technology into The Times . In 1817 he installed a steam-powered Koenig printing machine. This increased the speed that newspapers could be printed and by the end of the year, the newspaper was selling over 7,000 copies a day. In the same year that the newspaper obtained their steam-powered printing machine, Thomas Barnes became the new editor of the newspaper. Barnes was a strong advocate on independent reporting. 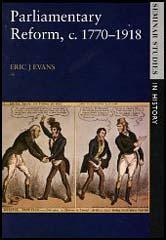 In 1819 he published a several articles written by John Edward Taylor and John Tyas on the Peterloo Massacre. The Times criticised the way Lord Liverpool's government was dealing with those arguing for political reform. After the massacre The Times began to argue for parliamentary reform. By 1830 the newspaper was constantly urging the Whig government to take action. The views of the newspaper and its editor, Thomas Barnes, had a great influence on public opinion. The government tax on newspapers meant that its price of 7d. made it too expensive for most people to buy. However, copies were available in reading rooms. In 1831 the Tory St. James's Chronicle claimed that "for every one copy of The Times that is purchased for the usual purposes, nine we venture to say are purchased to be lent to the wretched characters who, being miserable, look to political changes for an amelioration of their condition." In Parliament the Tories complained about The Times campaign. In a debate that took place in the House of Commons on 7th March, 1832, Sir Robert Peel argued that the newspaper was the "principal and most powerful advocate of Reform" in Britain. After the 1832 Reform Act was passed The Times called it the "greatest event of modern history." The Times also campaigned for the rights of trade unionists. In 1834 it became involved in what became known as the case of the Tolpuddle Martyrs. The Times condemned the decision to prosecute six farmworkers at Tolpuddle for "administering illegal oaths". The Times also supported the demands that the men should be reprieved after they were sentenced to transportation for seven years. In 1834 a group of Whigs purchased control of the Morning Chronicle. Thomas Barnes disagreed with the way the Morning Chronicle gave "slavish support to the government". Barnes had talks with the leaders of the Conservative Party and after they had agreed that they would not attempt to interfere with reforms introduced by the Whigs such as the 1832 Reform Act and the Tithe Act, he agreed that the newspaper would became a supporter of Sir Robert Peel and his new government. Thomas Barnes remained editor of The Times until his death on 7th May 1841. John Walter II made the surprising decision to invite the twenty-three year old John Delane to take over the job. Unlike Barnes, Delane rarely wrote for the paper. Delane held liberal views on most issues, but believed it was the role of a newspaper to be independent of political parties. In 1852 he wrote that it is the "duty of the journalist is the same as that of the historian - to seek truth above all things". However, he added that The Times "owes its first duty to the national interests" and that the "ends of government were absolutely identical with those of the press". Delane had good contacts with senior members of both the Whigs and Tories. This enabled him on 4th December, 1845, to be the first to announce that the government planned to repeal the corn laws. This information came from one of his closest friends, Lord Aberdeen. When The Times reporter, William Russell, began to send critical articles about the way the British Army was running the Crimean War, Delane and the Liberal MP, John Roebuck, called for a government enquiry. Delane's campaign eventually helped to bring down Aberdeen's government. Afterwards Tories complained that Delane's political views were being influenced by the hospitality of the new prime minister, Lord Palmerston. John Delane also gave vigorous support to Florence Nightingale and her attempt to reform military hospitals. With the support of Delane and the The Times , Nightingale was able to raise £59,000 to improve the quality of nursing. In 1860 she used this money to found the Nightingale School & Home for Nurses at St. Thomas's Hospital. In 1864 Delane upset John Bright when he accused him of being in favour of "dividing the lands of the rich among the poor". When Bright wrote a letter of complaint to The Times, Delane refused to print. Later, Bright published the correspondence between himself and Delane as a pamphlet: "to show the surreptitious relations which a journal professedly anonymous and independent maintains with the government". John Delane retired as editor of The Times in 1877 and was replaced by Thomas Chernery. In 1898, Lord Northcliffe had attempted to buy The Times . The Walter family refused but when Northcliffe tried again in 1908, his offer of £320,000 was accepted. Circulation of the paper had fallen to 38,000 and was losing money. Northcliffe re-equipped its outdated printing plant, reduced the newspaper's price by a penny to twopence, and appointed a new editor, Geoffrey Dawson. In March, 1914, Northcliffe reduced the price even further, and by the outbreak of the First World War, the one penny Times was selling 278,000 copies a day.During the early stages of the war Northcliffe created a great deal of controversy by advocating conscription and criticizing David Lloyd George and Lord Kitchener. This upset many readers and circulation of The Times began to fall again. Harmsworth stopped attacking the government and in 1918 was asked to take control of British war propaganda. After a row with Northcliffe, Dawson resigned as editor of The Times in 1919. He was replaced by Henry Wickham Steed, the former foreign correspondent. When Lord Northcliffe, died in 1922, the newspaper passed into the hands of John Jacob Astor, the younger son of Lord Astor. We are staunch friends to a broad and fundamental reform; and if enemies to universal suffrage, or to the establishment of a low qualification for the great mass of electors, it is because such a principle would be, in effect, a narrowing of the representative system, by the virtual exclusion of all influence derived from property. We are haters of all monopolies, and among others of a monopoly of the elective franchise, by such a reform of Parliament, by means of universal suffrage, the mass, and with the mass the dregs, of the existing population. The all-important question of full and satisfactory parliamentary reform is, we have no doubt, now completely settled. The people, the brave English people have won it decidedly as they have won battles in the field or on the ocean; nor can they by any possibility be cheated or robbed of the fruits of their victory. They petitioned, they addressed, they resolved. We proposed these courses to them, we urged the prosecution of them with vigour, and our advice prevailed to a degree that even we, used as we are to move the noble feelings of our countrymen in a just cause and on subjects of vast moment - could hardly have conceived, and were almost surprised at our success. We are too upright to be flatters of the wealthy, and what honest man will dare charge us with having ever abandoned or betrayed the poor? Who has pleaded more strenuously than we have done for the reform which has put power in the hands of some many of the working class? Who has pressed so vigorously against the landlords the wickedness of the tax upon the poor man's bread? Who raised and directed the public spirit in England against the vile massacre of the manufacturing poor at Peterloo in 1819? Who would now open the poor man's eyes to the snares and treacheries which his mock friends are practising against him, who but this Times journal. Died, at the lodgings at St. James's on Friday, May 18th, 1832, at a very advanced age, but still in possession of his faculties, the Right Hon., Right Rev., and Right Worshipful TORY POWER, A squire! Born so long ago as the reign of Charles I, he was given over at the close of that of James II, but rallied under the later reigns of the House of Hanover, and was kept alive by artificial means until William IV; when, detected in the act of some disreputable practices, he expired by his own hand. The Times is one of the greatest powers in the world - in fact, I don't know anything which has more power, except perhaps the Mississippi. (6) Henry Hamilton Fyfe worked for The Times in the 1880s. The control of The Times was claimed as a right by the Walter family. John Walter the third was by this time already an old man. He had a comically sheeplike face with a frill of white hair all round shaven lips and chin. He used to walk about the passages solemnly, noiselessly, portentously, looking straight ahead of him if he passed any member of the staff. Except the Editor. He was recognized. Nobody else, not even the assistant-editors. The division of the Great Powers into two well-balanced groups with intimate relations between the members of each, which do not forbid any such member from being on the friendliest terms with one or more members of the other, is a twofold check upon inordinate ambitions or sudden outbursts of race hatred. All sovereigns and statesmen - aye, and all nations - know that a war of group against group would be a measureless calamity. We can no more afford to see France crushed by Germany, or the balance of power upset against France, than Germany can afford to see Austria-Hungary crushed by Russia and that balance upset against Austrian and Hungarian interests. Joffre thinks the war will be practically over within eight months of the start which is, with all modesty, an estimate I have constantly made from the beginning. I look for the big crisis towards Christmas, and think that by the middle of the end of March we ought to begin to see daylight ahead.